Philatron Wire and Cable introduces an innovative coiled extension cord especially for tools and appliances that require more power. The compact design of The Triple Outlet Power Coiled Extension Cord with triple charging outlets allows 3 power tools (eg. Power drill, nail gun, power saw) to be used simultaneously. The Triple Outlet Power Coiled Extension Cord is just 5 inches and stretches to 10 feet! This advanced compact design saves space for easy storage, and saves valuable time. The Triple Outlet Power Coiled Extension Cord stores very easily in a garage, drawer, or tool box. The Slinky design means no more fussing with tangled cords. 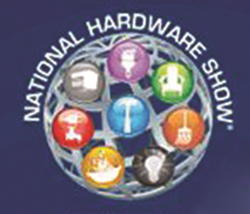 “Philatron is proud and honored to take our innovation of coiled extension cords to the next level, and introduce our groundbreaking new products at the National Hardware Show,” said Phil Ramos Jr., Founder and CEO of Philatron Wire and Cable. The Triple Outlet Power Coiled Extension Cord is ideal for the garage, office, shop, and anywhere in the home where compact power is needed. A leader in technology, creativity and innovation, Philatron Wire and Cable is a major wire and cable provider in the USA, manufacturing a full range of wire and cable products. As an industry leader in manufacturing, design, development, technology, and marketing, with over 39 years of service Philatron values core competencies offering copper drawing, roping, cabling, extrusion, injection molding, coiling and assembly.